Medical Travel is a term initially coined by travel agencies to describe rapidly-growing practice of healthcare providers travelling internationally to deliver healthcare. Medical Tourism is a great new trend that is changing the way thousands of patients are choosing to have surgery. This exciting new way of receiving medical treatment involves travelling to an advanced facility having your procedure at a much lower cost, and using the savings to opt for and enjoy a holiday during your recovery in an exotic location. Here people seek medical treatments in foreign country and travel to obtain a variety of medical and surgical treatments combined to a vacation in the country they visit together and still save a lot. Egypt is considered one of the richest environments of the therapeutic value by virtue of its natural resources and dry warm weather. 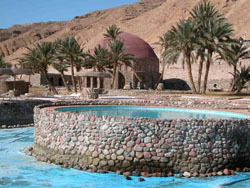 Egypt is home to several unique sulphurous and mineral springs: in addition to the miraculously healing ability of the black sand found in the city of Safaga. Due to Egypt's magnificent resources it has become one of the world's most famous destinations that offer natural medical treatment under the supervision of specialized physicians and their dedicated team. EgyptAir Hospital, located in Almaza, was established in 1983 as EgyptAir Medical Sector offering services exclusive to Egypt Air employees and their families. Over the years, its services were extended to cover all civil aviation field workers. Now we offer healthcare to a number of medical insurance companies and all of Egypt, and, through our novel medical tourism programs, reaching out to customers and patients from all around the world. In 2002, the hospital became EgyptAir Medical Services, a subsidiary division of the main EgyptAir Holding Company. Our services have expanded and evolved to cover much more than customary departments (general surgery and medical departments). 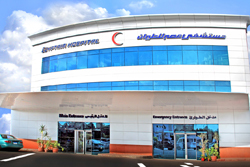 EgyptAir Hospital, now, provides sophisticated and specialized medical care through advanced surgeries (spinal cord, brain surgeries, open heart surgery, liver and kidney transplant), as well as cardiac catheterization, renal dialysis, endoscopic procedures, and state-of-the-art imaging, and laboratory services. The Hospital accommodates over 250 in-patient beds, receiving an average of 1500 out-patients per day.